This Tomato Bruschetta Recipe is the perfect summertime appetizer when the tomatoes are in season, and basil is plenty! If you know me in real life, you know I am not a fan of fresh tomatoes. There is something about their smell, texture, and flavor that I just do not appreciate. ((I don’t appreciate Cilantro, either… Ina Garten and I both think it tastes like dirty dish water to me!)) 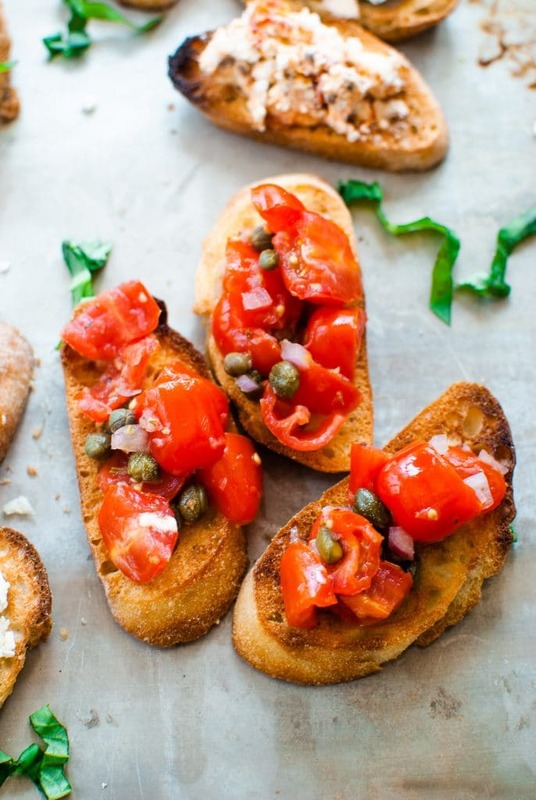 However, this tomato bruschetta topping recipe is simply irresistible. 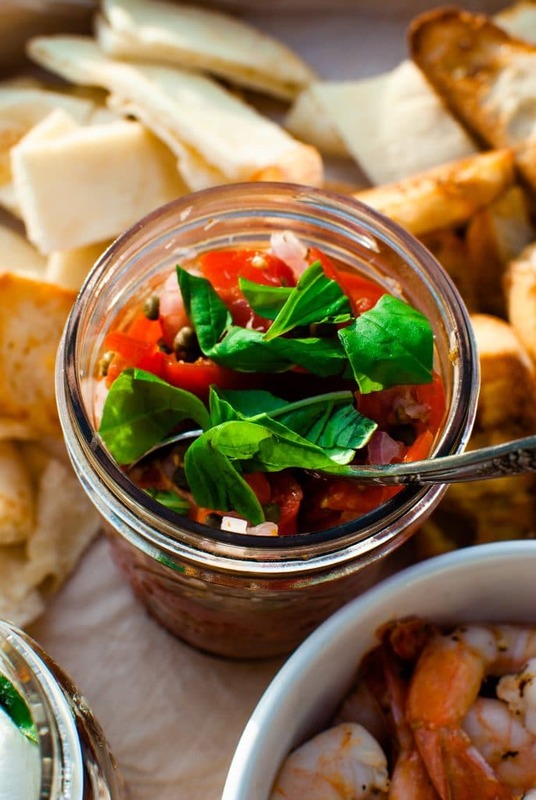 Fresh tomatoes are combined with spicy, fresh garlic, shallots, basil, and capers for an added brininess. 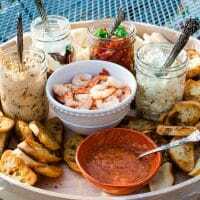 For Town Mountain Supper Club we recently had a “Carrabba’s Night!” One of our peeps is a former Carrabba’s chef, and he knows ALL THE SECRETS to the menu! We love having him cook for us! 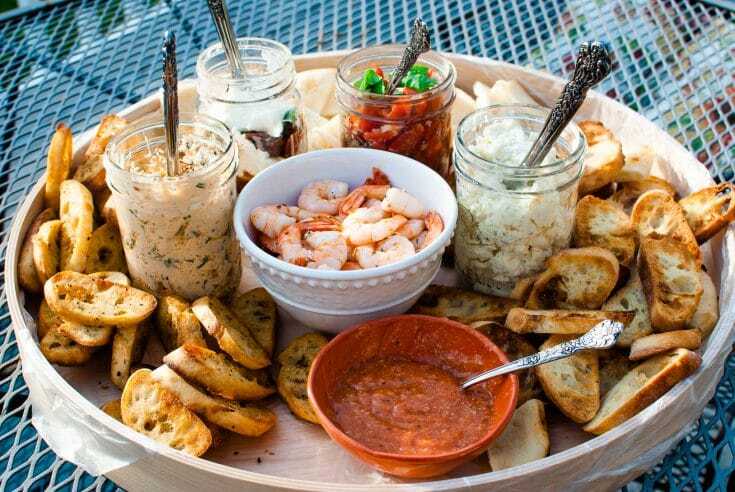 I was in charge of the appetizer, and thought it would be fitting to do a Bruschetta Board filled with all kinds of toppings to spread on toasted baguette slices. Over the next couple weeks, I’ll be sharing all the recipes — today’s is the classic tomato bruschetta recipe. 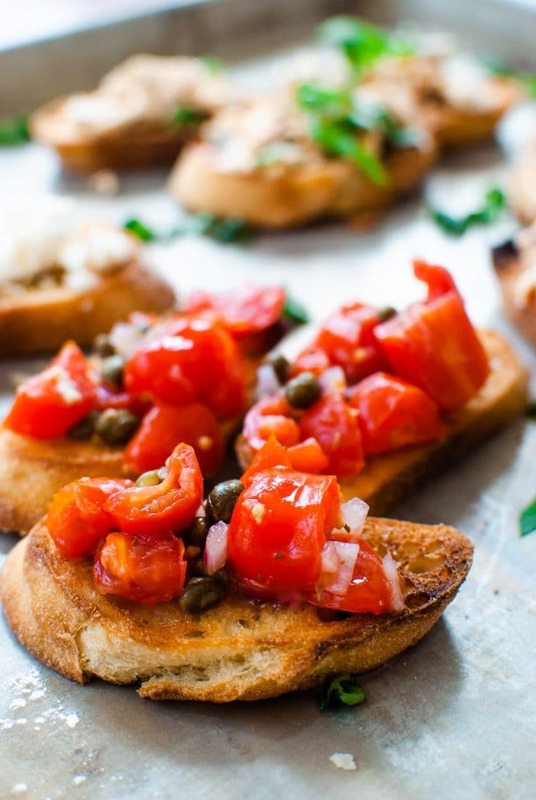 This recipe is the only tomato bruschetta recipe you will need! It is so simple, but perfectly matched. Yes! 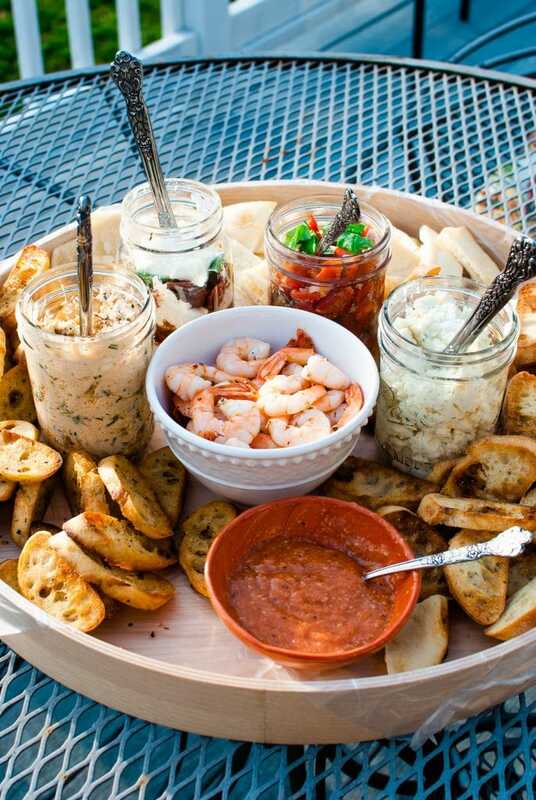 This grazing board even had shrimp cocktail included! And, it was pretty darn yummy! Bruschetta actually refers to the bread. I didn’t grill my bread — but, bruschette in Italian is the equivalent of “roast over coals” — the usual grill marks create a “grate” for you to rub fresh garlic on each of the slices, leaving a deliciously spicy garlicky taste to pair up! The topping is essentially a tomato salad. But, here in the Good U S of A, bruschetta is exactly the recipe I’m giving you today. The tomato salad is what bruschetta is all about in the summer time — the tomatoes are ripe and hearty, and basil comes in overwhelmingly! This is a great way to use up lots of tomatoes! Need ideas for a Bruschetta Bar Grazing Board?! 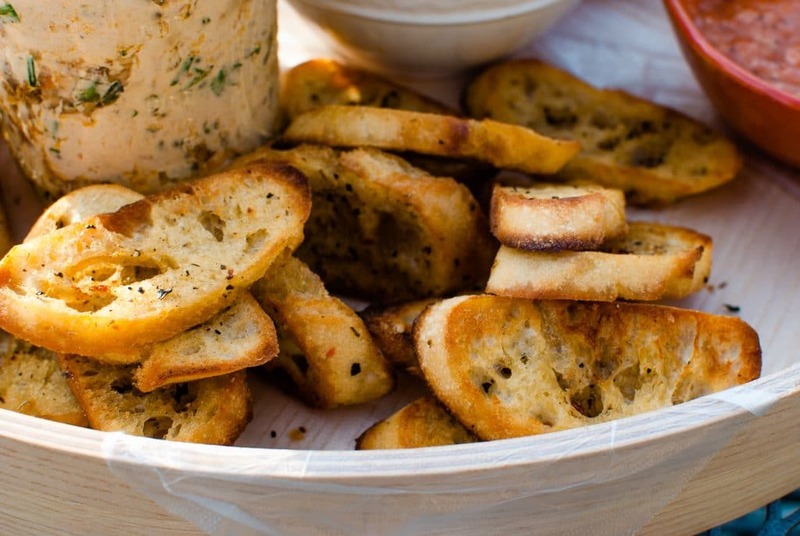 All these go great with toasted slices of a baguette! I toasted one “round” of slices with just butter, then rubbed a fresh garlic clove over each one after it finished toasting under the broiler. The second round, I did a little number on…. Italian Herbs, White Wine, and Fresh Garlic. You’ll definitely want to stay in touch to get that recipe! 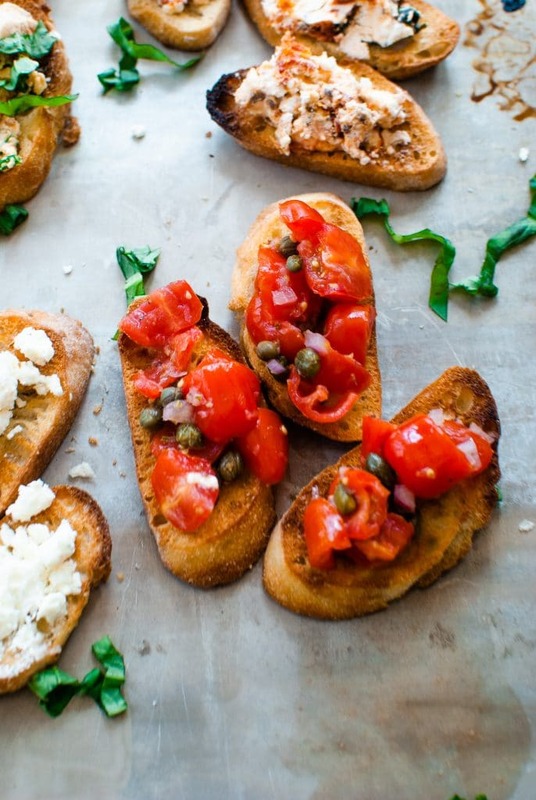 Tomato Bruschetta couldn’t be anymore simple, y’all! 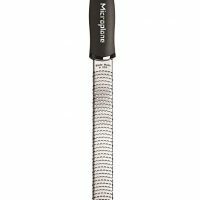 Slice small (or large!) tomatoes into bite size pieces, grate some fresh cloves of garlic overtop of the tomatoes with a microplane, add in minced shallots, and some basil ribbons. Stir with red wine vinegar, capers + a plop of the caper brine, salt & pepper. Gently toss all of this together, and let it sit for an hour in the fridge. 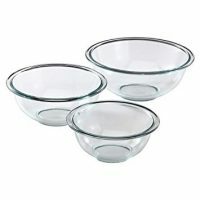 An hour before serving, gently combine all ingredients in a glass mixing bowl. To create basil ribbons, roll up several leaves of basil, and slice cross wise.